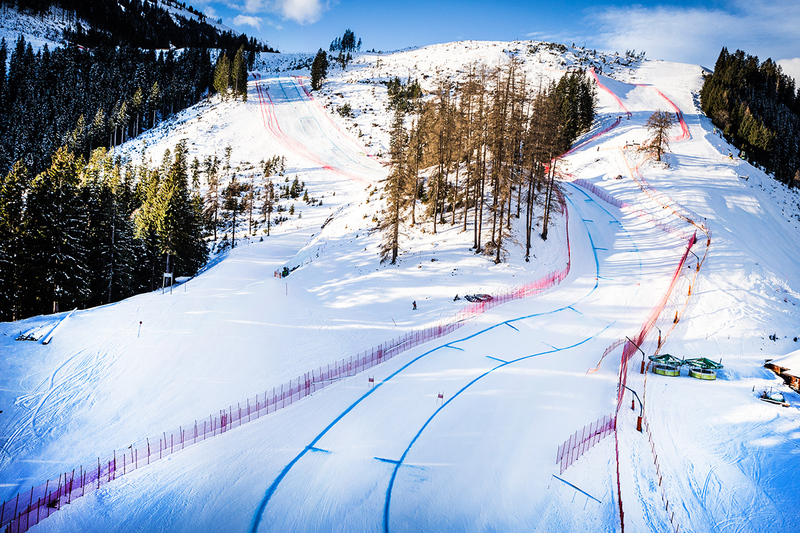 It is considered to be one of the most challenging downhill slopes in the world; the Streif. 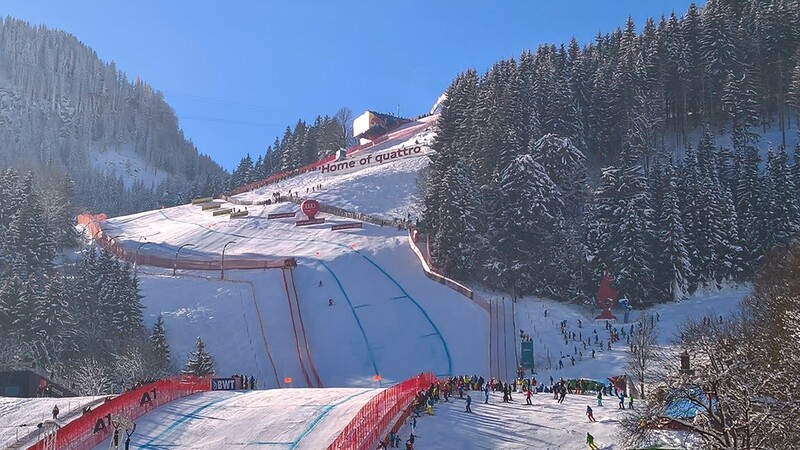 The supreme discipline of alpine ski is held on Mount Hahnenkamm, hot on the heels of the Lauberhorn Races in Wengen, Switzerland – another of the great alpine ski classics. 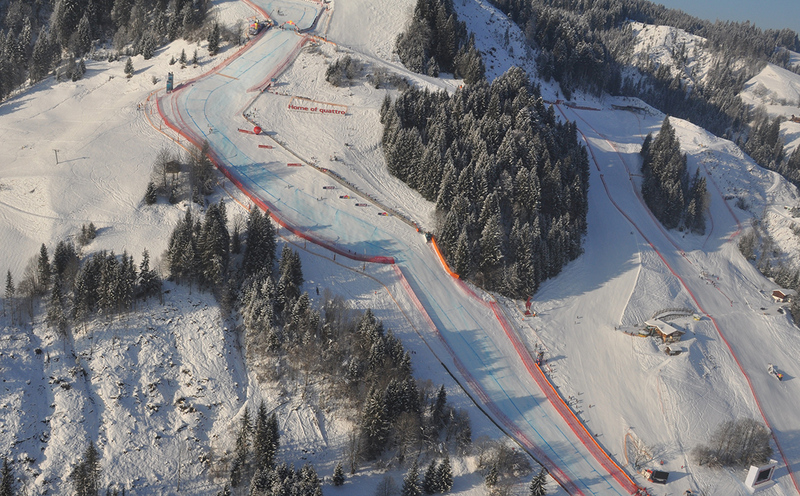 The race first took place on today’s Streif course in 1937. Austrian, Thaddäus Schwabl, won the inaugural event in a time of 3:53.1 minutes. The reigning course record was set in 1997 by Fritz Stobl, who crossed the finishing line in an impressive 1:51.58 minutes. Right from the outset, the Streif was deemed to be quite extraordinary. 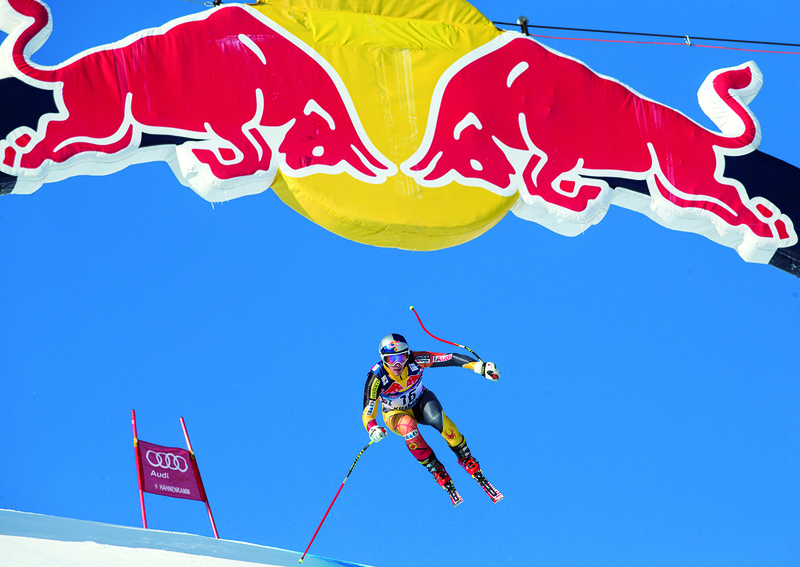 Racers launch themselves into the “Startschuss” from the “Starthaus” at 1,665 metres above sea level. 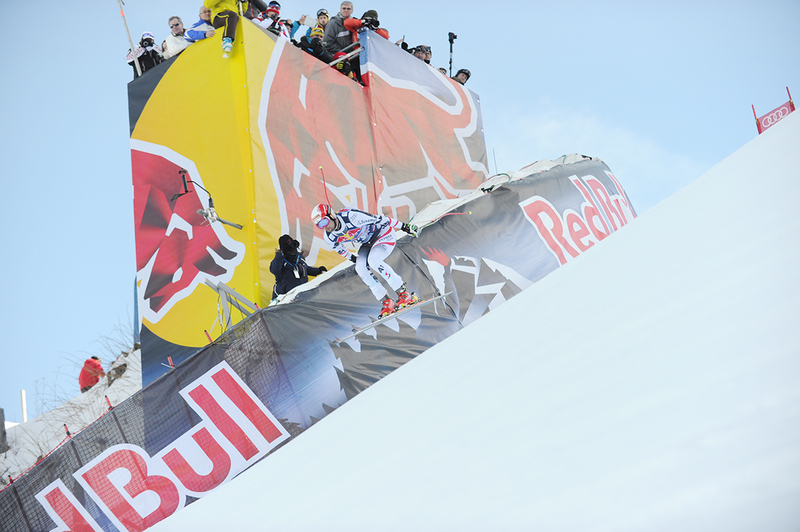 “There is no other start gate where such calmness prevails as on the Streif. 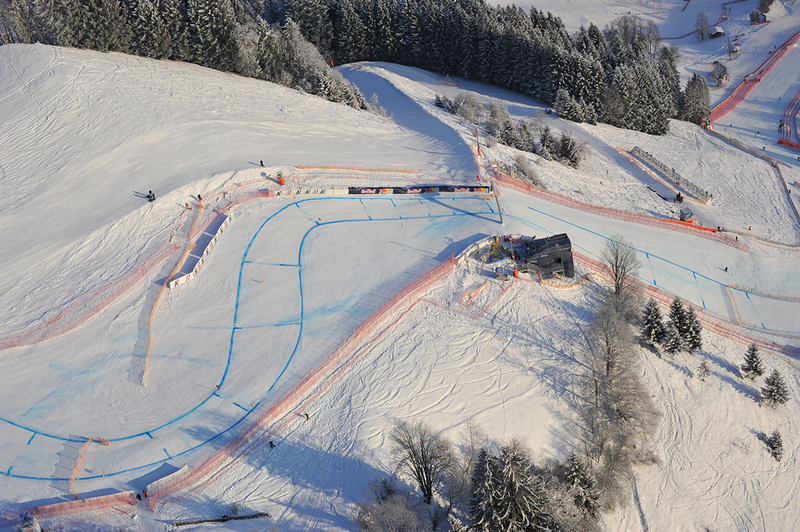 It is a very special atmosphere”, says Organizing Committee Chairman, Michael Huber. 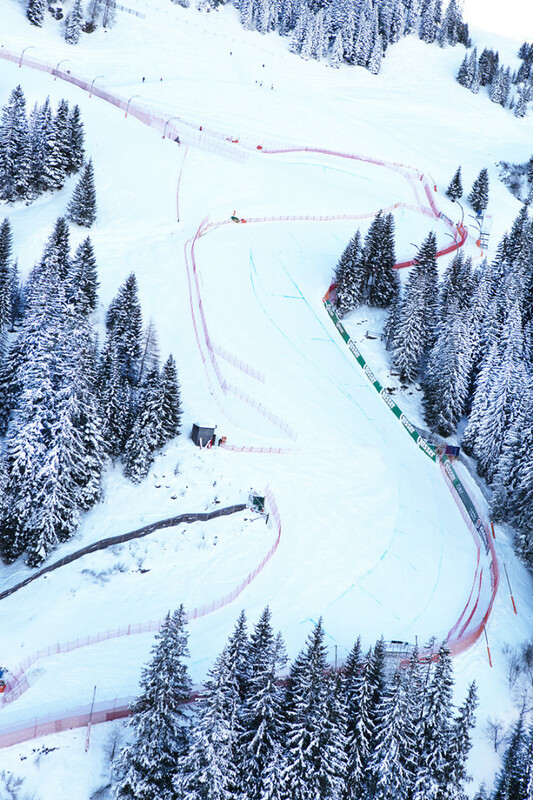 After hurtling down the 160-metre long and 51 per cent gradient “Starthang”, racers reach the “Mausefalle” in only 8.5 seconds. This is followed by the first jump, which is also the longest. 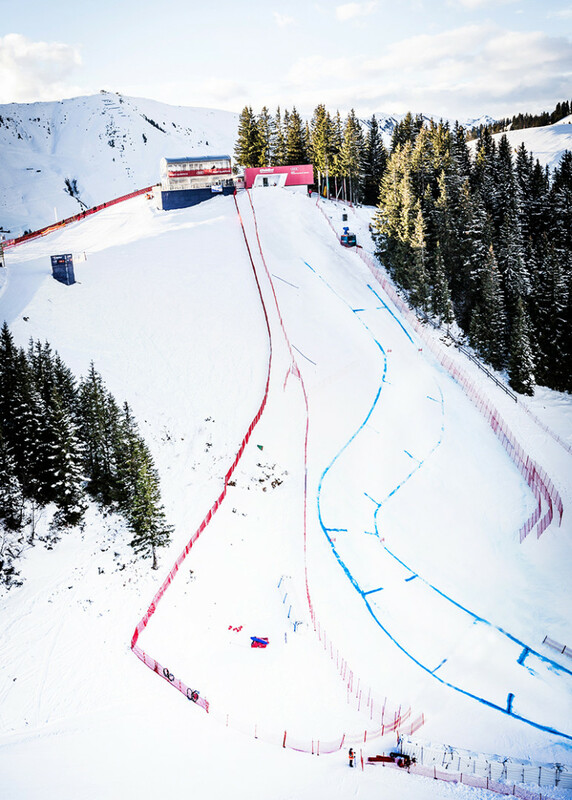 Athletes fly distances of up to 80 metres over the steepest section of the Streif, which has an 85 per cent gradient and where speeds accelerate up to 110/120 kilometres per hour (km/h). Before entering the “Steilhang”, the “Karussell” determines to a large extent between victory and defeat. 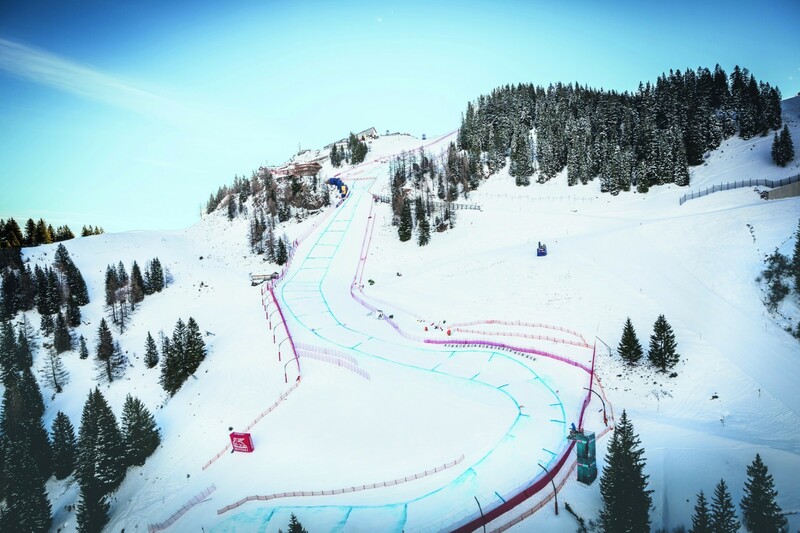 Here, athletes are forced to endure centrifugal forces of 3.1 g.
The subsequent “Steilhang” is considered to be one of the World Cup’s most technically challenging slopes. Perfect edges and meticulous timing are required for optimum completion of this compact and technically demanding section. Athletes need to sustain as much speed as possible to enter the “Brückenschuss” and “Gschöss” areas. 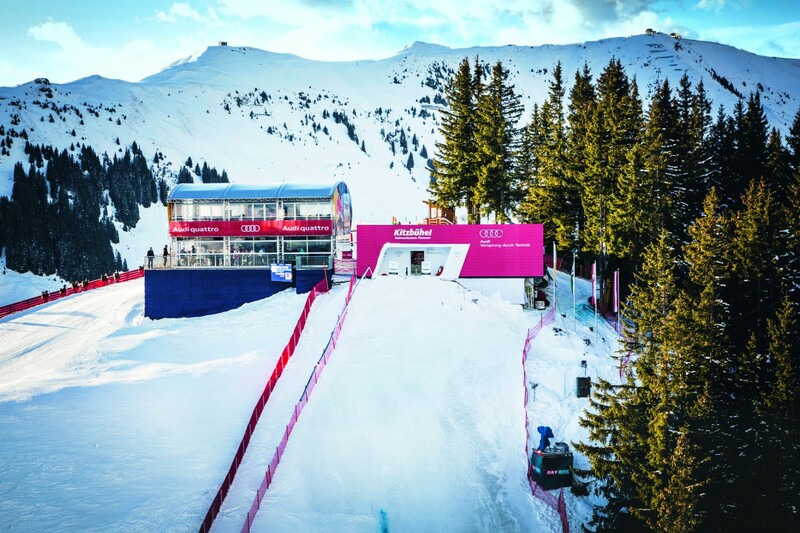 “This is where you need to be able to glide”, reports an insider, fast skis and good physical condition are prerequisite. 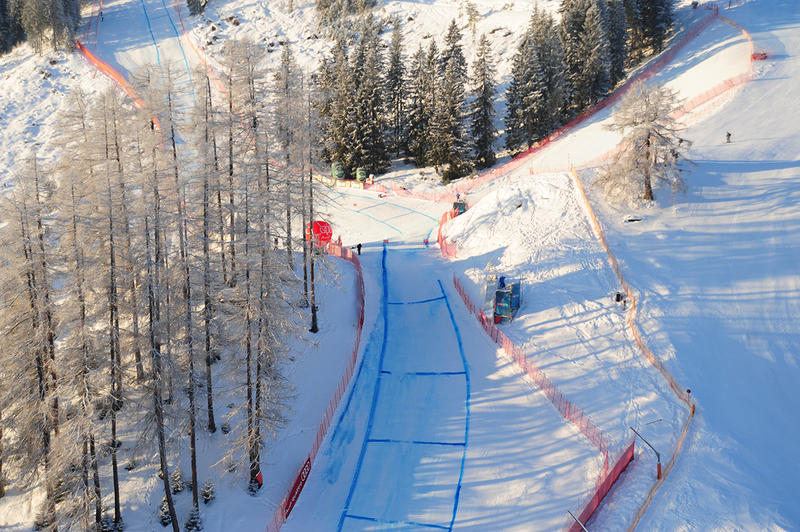 After a small jump, the course leads into the diagonal “Alte Schneise” and approach to the “Seidlalmsprung” jump. The Seidlalmsprung was introduced in 1994 and is exactly midpoint in the racecourse. Athletes approach the jump in a deep squat position, without being able to see what is coming next. This is no time to be making any mistakes!Whilst in the air they must rotate to the right in order to be correctly positioned for the sweeping curve of the “Seidlalmkurve”. 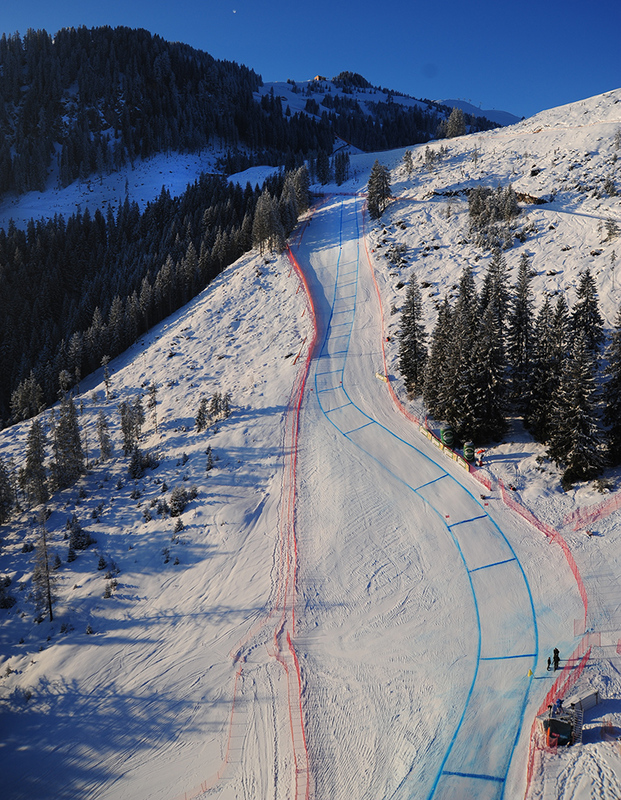 After an almost 90 ° turn, racers arrive at the Lärchenschuss and approach to the Oberhausberg. After an energy consuming “S”, where those that dither fail, racers must push on and jump over the “Hausbergkante” into a compression, followed by a challenging left turn to the “Hausberg Querfahrt". 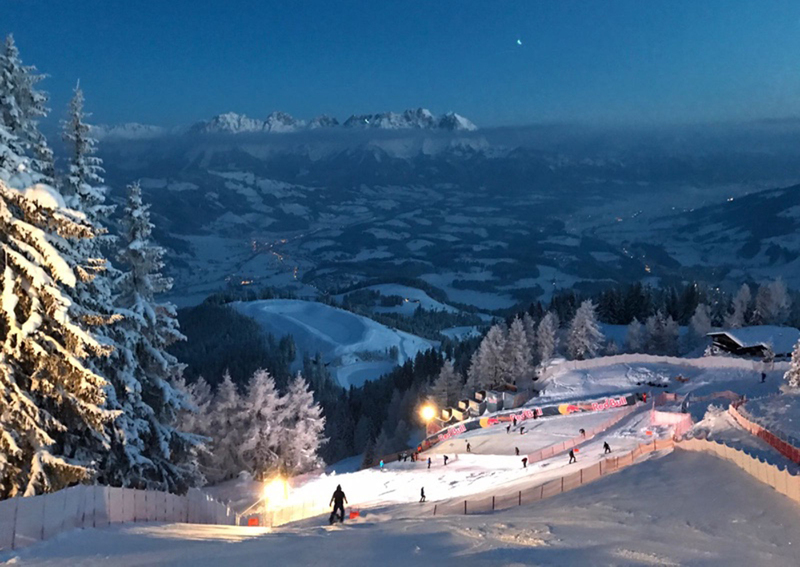 Now comes the final jump, where racers sink into a deep squat for the “Zielsprung” and top speeds of up to 150 km/h are achieved. 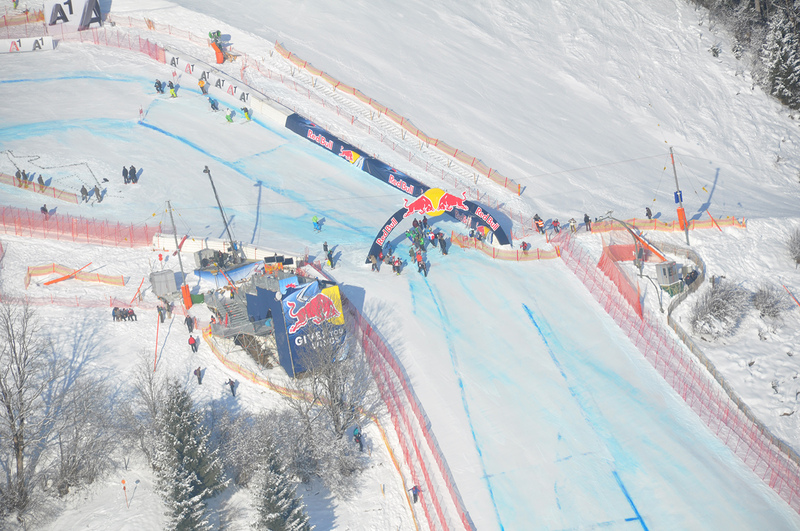 The compression ahead of the “Zielsprung” propels athletes down the slope as they approach the final run towards the finishing line. The spectators erupt as they cheer their favourite competitors on. At last, the finishing line, and a quick glance at the clock. Here, there is a narrow margin between disappointment and delight. 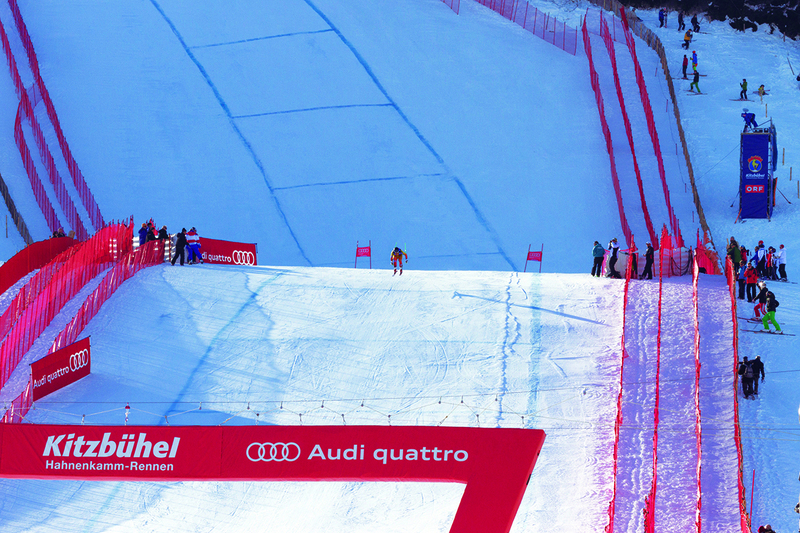 All those who conquer the Streif, however, are a winner.